I got the World's Finest Omnibus when Amazon had the extra 10 bucks off for Prime Day. It came in a cardboard folder instead of a box (they usually send the larger volumes to me in boxes, but I've also shifted my larger purchases to IST for at least a year), and the shrink and dust jacket were a little worn on the corners, but not enough to complain about. 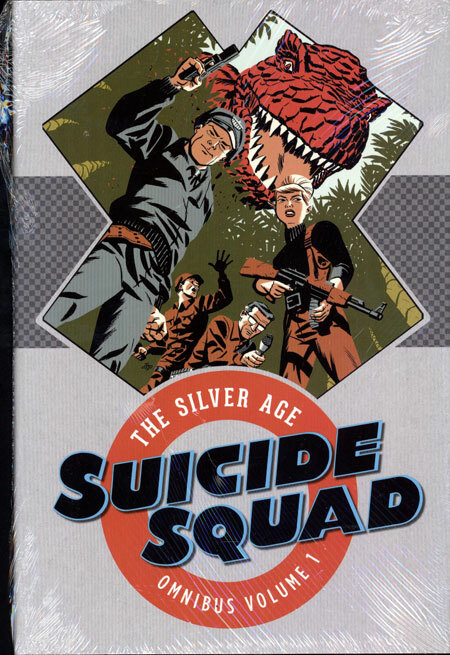 I'm thinking about the Silver Age Suicide Squad omnibus, which just looks like '60s war stories, but it's only 25 bucks. It'd be a blind buy, though, so I'll probably end up passing. I love the Cooke covers on all these. There's a review up on Amazon. It's actually over 300 pages and contains several War That Time Forgot stories from Star Spangled War Stories. Probably the "Suicide Squad" stories about the two guys who hate each other. I went ahead and pulled the trigger on Suicide Squad. I was going to pre-order the Bronze Age Supergirl Omni because it looked like it was going to get a major reprice upward like the previous volume, but I got caught up in some gift-card wrangling and now the buy button is gone. Oh well. I got the Suicide Squad omnibus even though I'm not familiar with any of the content. I'm loving the look of these books on my shelf. I sort of hope they go back and reprint some of the other ones that don't match. Find More Posts by Neil M.
The Brave and The Bold Bronze Age Omnibus is back down to 49.94 at Amazon. View Next Unread Happy 50th Star Trek!